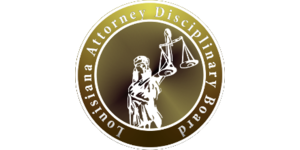 These lawyers were the subject of Louisiana Supreme Court disciplinary orders or Louisiana Attorney Disciplinary Board recommendations published during the month of October 2018. A. Wayne Stewart. The court granted the respondent’s Petition for Permanent Resignation in lieu of discipline. Robert A. Lenoir. The court revoked the respondent’s conditional admission. Furthermore, the court ordered that the respondent may not reapply for admission until completing a year of sobriety and a year of compliance with his recovery agreement with JLAP. Mitchel M. Evans, II. The court suspended the respondent for one year and one day. In addition, the court ordered the respondent to refund a legal fee. The respondent failed to adequately represent his clients, acted against his clients’ wishes, failed to communicate with clients, and wrongfully kept an unearned fee. Brian Anthony Dragon. The court suspended the respondent on an interim basis. Jeanne Marie Laborde. The court accepted a Joint Petition for Consent Discipline and publicly reprimanded the respondent. The respondent represented both a husband and a wife in a domestic-relations matter, later terminated the husband, and sued him on behalf of the wife. Juan C. Labadie. The court disbarred the respondent. The respondent neglected client matters, kept unearned fees, made false statements regarding the integrity of a judge, and committed multiple acts of domestic violence. George Martin Gates, IV. The court suspended the respondent for six months, all deferred, with a one-year period of unsupervised probation. The respondent neglected a legal matter, failed to return an unearned fee, failed to return a client file, practiced law while ineligible, acted in a manner prejudicial to the administration of justice, and failed to cooperate with ODC’s investigation. Ken Dohre.The court dismissed the formal charges against the respondent, a former prosecutor accused of prosecutorial misconduct. Joshua William Christie. The court granted the respondent’s Petition for Permanent Resignation in lieu of discipline. Andrew T. Adams. The court suspended the respondent on an interim basis. Patrick A. Giraud. 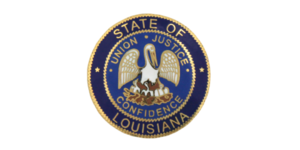 The board recommended that the Louisiana Supreme Court suspend the respondent for one year and one day, fully deferred, upon the completion of certain conditions. These condictions included the execution of a five-year JLAP contract, the submission to quarterly audits, the completion of six hours of CLE in law office practice and client trust account management, and the completion of LSBA Trust Accounting School. The Respondent mishandled his trust account and, in so doing, caused potential harm to his clients. Deidre Katrina Peterson. The board dismissed the formal charges filed by ODC against the respondent. The board found no evidence of misconduct. Alphonse M. Thompson, Jr. Hearing Committee # 37 recommended that the Louisiana Supreme Court suspend the respondent for one year, with all but the first month deferred. The respondent forged a Judge’s signature on a document purporting to set a client’s case for trial. Sally Harrison Longmire Hingle. Hearing Committee # 37 recommended that the Louisiana Supreme Court disbar the respondent. The respondent failed to comply with CLE requirements, failed to pay bar dues and disciplinary dues, failed to adequately represent her client, failed to properly respond to information requests from her client, failed to return an unearned fee, failed to return a file to her client, and failed to cooperate with an ODC investigation. Additionally, the respondent purchased prescription narcotic drugs. The respondent also misrepresented to her client that she had obtained a court hearing for a divorce litigation hearing when she had not. Scott R. Hymel. Hearing Committee # 62 recommended that the Louisiana Supreme Court permanently disbar the respondent. The respondent failed to act with reasonable diligence, converted money from a client’s estate resulting in a felony charge, failed to reasonably communicate with a client, and failed to cooperate with an ongoing disciplinary investigation. Michel Stephen Sepcich. Hearing Committee # 9 recommended that the Louisiana Supreme Court readmit the petitioner to the practice of law, conditioned on compliance with his JLAP Agreement. The respondent was previously disbarred for false billing practices. Roy Joseph Richard, Jr. Hearing Committee # 5 recommended that the Louisiana Supreme Court disbar the respondent. The respondent abandoned his representation of multiple clients and failed to return unearned fees. Stephen Michael Smith. Hearing Committee # 10 recommended that the Louisiana Supreme Court suspend the respondent for one year, with all but 90 days deferred. The respondent shared fees with a nonlawyer and assisted in the unauthorized practice of law by allowing nonlawyers to negotiate and to collect fees on his behalf. Mitchel M. Evans, II. Hearing Committee # 7 recommended that the Louisiana Supreme Court permanently disbar the respondent. At the time of the hearing, the respondent was already suspended, had abandoned his practice, and had left the state. The respondent failed to resolve many legal matters for clients, failed to return unearned fees, neglected legal matters, and engaged in matters dishonestly and with a clear conflict of interest. Richard C. Oustalet, Jr. Hearing Committee # 15 recommended that the Louisiana Supreme Court suspend the respondent for a year and a day. The respondent failed to provide competent representation to a client by substantially delaying a matter through misleading and dishonest communications.